This is the second installment of Aikido Journal’s interview with Christian Tissier Shihan (8th dan.). 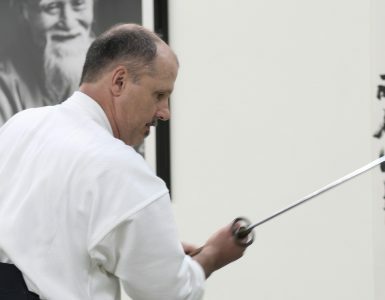 In this interview segment, Tissier Sensei shares insights from his own personal aikido journey. Along with the video, we’ve summarized Tissier Sensei’s key points and our thoughts in this article. I believe the three concepts Tissier shares here, while beneficial for all aikido practitioners, are especially important for instructors. This is a great forum for the message since nearly 40% of Aikido Journal’s audience are instructors. 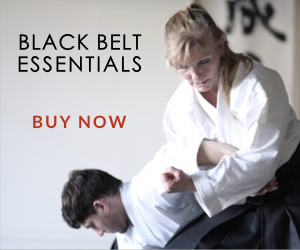 Tissier Sensei has endured many injuries and physical hardships over his decades of training. While everyone can agree that he still moves exceptionally well, he has suffered permanent physical damage. After five surgeries, he can no longer sit in seiza as one of his knees won’t bend past 90 degrees. Tissier Sensei recommends that everyone prioritize care and protection of their own bodies in training. He dismisses the notion of pushing through pain or injury on the mat in pursuit of the “samurai spirit.” It’s one thing to cultivate resolve and determination by pushing through endurance limits or perhaps even fear on the mat, but it’s something else to keep training despite a physical injury. Tissier Sensei made a special point for instructors and senior practitioners to be especially careful with younger practitioners, particularly those with good ukemi. Young ukes with great skill can highlight a nage’s skill and allow them to practice techniques at a higher level of intensity. This is great, but Tissier Sensei cautions us not to abuse the privilege and put young ukes at risk of injury. They are the future generation of shihan, so let’s make sure we don’t limit their potential. Tissier Sensei’s insights here are important and resonate with what I’ve seen and heard about in my own experience. I’ve been told stories, and seen firsthand, examples of aikidoka damaging their bodies both through subtle long term wear and tear from improper movement patterns and from sudden injuries caused during practice. These kinds of physical injuries are bad for the aikido world. They can create long term pain and suffering, place friction on our development (time out from training for recovery), and may limit the movement potential of the next generation of great masters. 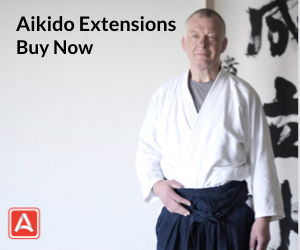 Peter Goldsbury Sensei, who held the post of chairman of the International Aikido Federation for 20 years, has also indicated to us that injury prevention is something the aikido world can benefit from exploring at a deeper level. Martial arts inherently carry risk of injury. We can never completely remove that risk, but we can minimize the risk of sudden injuries by using compassion and awareness when throwing others and by using our better judgment when making a decision to train through pain or injury. We can also likely benefit from exploring our movements from a biomechancial perspective to find ways to reduce long term wear and tear. Tissier Sensei also noted that in addition to protecting the body during practice, we should also respect the body off the mat. He believes it’s important for us to keep our bodies in proper condition and not let ourselves get out of shape as we grow older. We don’t all have to be models of perfect fitness, but we should keep our bodies in good operating condition. He believes this is important for a few reasons. Health: It’s clear that excessive weight gain, drinking, smoking, etc. will put your heath at risk. Setting an example of self-respect: As teachers and senior students, we need to lead by example. We should show that we respect ourselves and our own bodies in order to inspire others to respect themselves. Serving as an aspirational model for others: Whether someone starts their aikido journey at 15 or 55, they have a dream: to develop as a martial artist and fulfill greater potential as a human being. Instructors should think about their physical condition and lifestyle habits if they want to be aspirational role models for these people. The benefits of keeping one’s body in good condition are almost universally accepted. However, Tissier Sensei frames the rationale behind it from the perspective of a martial artist in a compelling way. 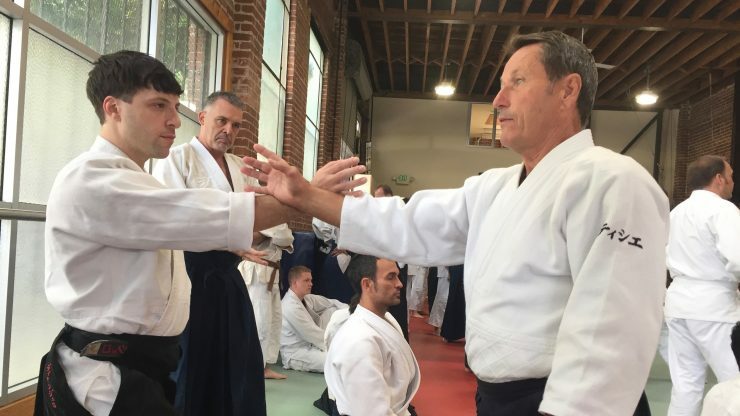 Being able to serve as an aspirational role model for others and ensuring that our bodies are in a proper condition to execute our techniques and express our aikido knowledge through our bodies is important. Aikido is a life-long practice. As we continue to gain more technical expertise over a lifetime, it’s important we try to keep our bodies in a condition that can embody that expertise. Stanley Pranin also believed in this strongly. You can read an interview with him on the subject here. 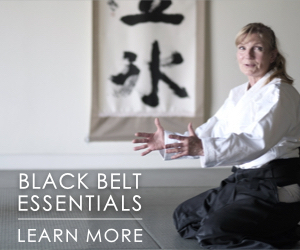 Transitioning from the physical to the spiritual, Tissier Sensei shares a personal story that underscores the essential role of enthusiasm in our practice and pursuit of aikido. He recounts a story of his own personal struggle with a lack of enthusiasm and how it impacted his practice. Tissier Sensei talks about a phase of his training in his late 30s – early 40s when he became so sick of doing shomenuchi ikkyo, he just couldn’t bring himself to show it. If you haven’t watched this part of the interview, you must do so (start the video in this post at 1:24). You can see that even though decades have passed since this phase of his training, it hasn’t diminished his recollection of the frustration and discouragement he experienced. This is a compelling call for us to cultivate an enthusiastic pursuit and transmission of the art. Burn-out is unavoidable in a lifelong art. We believe that Tissier Sensei knows this will happen to all of us at some point. Finding ways to reinvigorate our practice and approach familiar techniques and training methods from a new perspective are key to our continued advancement. We can also infer from this that if one teaches others, they need to find ways to keep their students enthused and engaged. If one believes in the insights and recommendations Tissier Sensei shares in this interview segment, they can be put into practice with mindfulness, determination, and creativity. However, we do believe that one facet of this dialogue can benefit from further exploration. From our vantage point at Aikido Journal, injuries in the aikido world are not at a crisis level and aikido is far safer than many other martial arts or sports. However, injuries do impact a number of students and instructors in important ways. As far as we’ve seen, there is only anecdotal evidence and stories told about this subject. Professional sports and many other movement arts have data on injuries. For example, injuries in basketball occur on average 14 times per 1,000 hours of training. In the aikido world, we’ve not seen any such data collected on a large scale. A few years ago, we started tracking injuries at Ikazuchi Dojo and we found the data to be illuminating and invaluable in understanding and reducing injury rates in our own dojo. You can read more about it here. 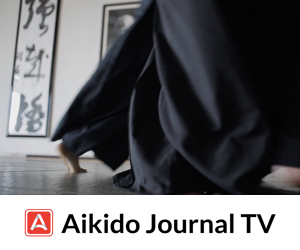 With a global reach, Aikido Journal could enlist the aid of a data scientist to design a survey to collect important data on injuries in the aikido world. With a global reach, we could collect enough data to produce a statistically significant report to give us all better visibility into how small or large this problem is on a macro level. We could better understand what’s going on with long term wear and tear and sudden training injuries. We could learn how often they happen, how serious they are, and why they happen. Insights from a study like this could inform us how we might better adapt over time to make our practice safer. If this is something you think would be worthwhile, let us know by leaving us a comment on this post or sending us a message. This is the second segment of a multi-part interview with Christian Tissier Shihan. 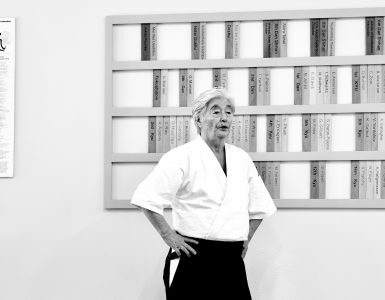 In future segments, Tissier Sensei shares his memories of Stanley Pranin, his thoughts on how aikidoka should think about efforts to evolve the art, gives guidance on how advanced practitioners should approach developing their own personal expressions of aikido, and talks about Seigo Yamaguchi Sensei, one of his most influential teachers. We look forward to releasing this material in the near future. Thank you for this interesting interview! I think what Tissier Sensei says is very important and wise. Aikido can look very athletic, but for most of the students it is not possible to reach such a level of physical skill. I often wondered how the Uke’s bodies feel after taking skillful and beautiful falls, high falls for great Aikidokas. As a bodyworker I am aware of how people use or abuse there bodies. I think it is a fine line between challenging our limits (thats what we want as martial artist) and taking care for the system, so we can get older with healthy bodies. I wonder what people think about this? Is it necessary to take high falls? Is there a difference for different body-types? Or for women and men? imo – ukemi is the most real-life applicable skillset we can learn in the dojo. How many times have you fallen down in life? We learn in aikido that by all means, keep your hands out of it. Now, there are advanced falls that we don’t learn. What happens when your dog pulls on the leash while you are trying to untangle a dog fight? My personal experience is not a good example. As a practical matter, learning to fall on concrete is a good skill. Start LOW, kneeling. Best to use a polished (indoor) concrete surface. I always get little road rashes on sidewalks. Avoid breakfalls in practice. Smooth out your rolls. At an intermediate level, 5-15 years or so, the arts of ukemi and kaeshi waza tend to blur. That is superlative. Good to hear from you! I agree it’s a fine line in terms of pushing ourselves without exceeding our limits. I started aikido at the age of 19 and have done plenty of high falls over the years. I rarely had any injuries and I think because we practiced them in a fairly biomechanically correct way, I’ve not had any long term wear and tear issues. I’m now 45 and can do high falls / breakfalls without a problem, but I don’t do as many reps as when I was younger. To respond to your other points, I’ve also not personally seen any difference in terms of ukemi performance or injury risk that would be different between men and women. In terms of body types- yes, there will be significant differences in terms of how people can and should take ukemi based on their height, weight, flexibility, and strength. These things need to be considered carefully for each individual. Especially as they start taking more advanced ukemi. Learning to high fall should never be necessary. Those who can/are willing/have the ability, should be able to do it when the circumstances are right. That won’t be all the time. In the world of ukemi there is a ton of fascinating approaches, practices and challenges that don’t require high falls. e.g. Learning to roll softly and quietly, blending, connecting, absorbing, giving the right sort of attack and changing its nature based on the technique, application of technique, partner, etc. is much more fun, interesting and valuable IMO. Irrespective of gender and age. I guess that being all alone out here I have a constant question of “why bother”? Well, when I started my prayer was to improve my fighting skills. In a funny way that prayer has both been granted and denied. “Never fighting is ever victorious.” O Sensei; worth pondering deeply. I didn’t pray to become a famous teacher and I haven’t. As to why bother, I came up as a bully magnet which gives me a deep seated faith in the possibility of bad things. That faith has been justified in several occasions. The miracle of aikido is that no lives have been lost. But that is a miracle. 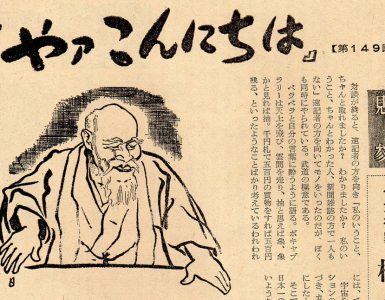 “…I leave everything in the hands of God…” O Sensei; another thing worthy of deep study. Still I empathize with the boredom of doing yet another shomen uchi ikkyo, especially when I don’t even have a training partner. So, I branch out beyond the basic teaching curriculum. Would I teach that stuff? Certainly not to beginners (under, maybe, nidan). They might get distracted from the things which really have to be learned in the body so they happen without any thought or intent… like shomen uchi ikkyo. Art or skill? What is this that we’re talking about? “Do” is the refinement of warlike skills in time of peace. That which is often lost is practicality. Is there one that is most important? Which can we work on through practice? Is there more? Time – We have no choice of our time of birth or our time of death. Speed, distance, direction – We have little choice of the speed of any given situation. Nor can we alter our own speed beyond our physical limits. The distance and direction of situations are also outside our control beyond that control made possible by our mental capability. Physical capability – Physical fitness is something that we can always work on. In time of general peace, moderation allows fitness to endure longer. Fanaticism breeds injuries that degrade performance over time. Technical capability – Within the limits of physical ability, this too may be practiced. Dojo practice is very useful. Martial techniques fall in the general category of ballistic movements which become natural through detailed practice. Is there anything else? If there is, it is in the unification of dimensions into a situation. Perhaps it can be experienced. Perhaps a stage can be set. It probably cannot be simulated or practiced. The attempt to do so certainly leads to impracticality in many instances. O Sensei said , “As ai, harmony, is common to ai, love, I call my art aikido.” It is easy to have a superficial understanding of both terms. * There is a US military theorem originated by Lt. Col. John Boyd, USAF concerning the “decision cycle”; observe, orient, decide, act – ooda. This is predicated on the existence of a potential situation / state of hostility. Given the highway death toll in America, to say nothing of violent crime, it is a useful perception practice to maximize awareness in daily life and thereby conserve time to observe, orient and decide. I will be 77 in December, but this is one art I can practice for many years. I have been doing martial arts since 1962. As we age our techniques change (at least mine do). I no longer have the gripping strength in my right hand and that has affected my form. The wonderful thing about Aikido is that we can change and adapt. And needless to say probably the most important thing I have learned from Aikido is how to fall instinctively. Here the rule of 5,000 comes into play (Phil Porter USJA/USMA). If you see a technique, think through a technique and/or actually perform it and this adds up to 5,000 incidents you form muscle memory which is absolutely critical in dangerous situations. Otherwise you may engage the sympathetic nervous system and loose your ability to perform a fluid, energy engaged technique when you or someone else is threatened. That is why PRACTICE, PRACTICE, PRACTICE is so important. Very good insight here, and I personnaly really like the idea of a global survey on the subject of injuries. I think a lot of factors can affect an injury (and even a risk of injury). For example, during my last training, I’ve made a mistake of retaining myself during a fall, and I received the weight of my body on my neck, but without any injury. Do we need to record also such a thing ? Maybe yes, in order to give instructors and practitionners tools to better train, in a very safe way. What are the circumstances of the injury, which technique was used, what was the level of the practitionner, was it in a usual training, or in another visited dojo, during a special training camp… ? A lot of questions, but definitely interesting to dig in. In my professional experience, in many cases, when we study causes of a problem, we’re often estonished of the root causes, different from what we initially thought, when using statistical project management. I just received an email from my old New Zealand training buddy Keith Hartley. He just turned 87 and Mostly just practices weapons these days. Said he took an unexpected fall on concrete while walking the dog, and complained that it hurt his hand a bit when he slapped the concrete taking a good break fall. He should be the poster boy for aikido. I say that’s passing a 10th Dan test . Spectacular ! Fantastic story Tom! I’ve fortunately never needed to use my aikido technique in combat, but have used my ukemi many times over the years in a way that surely has saved me from serious injury. It’s great to hear that someone at that age with aikido training still has the muscle memory to pull that off. Awesome. Over the past 30 years, I have endured far more injuries from my practice of aikido than I ever had from karate. When I was new to aikido (and much younger) I had great teachers but I don’t remember any instruction on how to be a good uke. I fought and resisted technique because I thought I was supposed to help nage learn to overcome resistance. Hence, my training was not mutual and I sustained some permanent damage. However, a good karate dojo will incorporate body conditioning drills that are mutually beneficial for both partners. This training starts almost immediately because karateka must participate in on-going conditioning to withstand strikes to the body. The very nature of aikido practice e.g. ikkyo or ukemi conditions the body as well but the emphasis tends to be more on nage’s performance of the technique rather than uke’s receiving the technique. In our dojo we emphasize the importance of receiving technique as a part of the conditioning process. Learning the proper form of resistance conditions one’s body over time allowing for orderly physiological adaptation while reducing (hopefully) the danger of serious injury. Josh – That you so much for posting this interview. Thank you Sensei! I really appreciate your support. We had a student in our school that has physical issues. This student does not fall or roll like a student that is flexible. I was teaching the class that day and had to take a step back and realize that aikido can be adapted to any type of body style and any physical limitations that come forward. Many times there is a need to revisit techniques that may be not your strongest and make them better. I call this falling on you sword. Meaning understand that you have to show something that you are not comfortable with and doing your best. Remarkable words of Tissier Shihan: protect your body, respect your body. The most precious jewel we have is our body. It is not the point to ruin it but to polish. And lead it to the most perfect state possible with conciousnes. It takes us to where we meet self respect, self care and respect for other practitioners. Another excellent interview. I would be happy to provide data re injuries to better understand the affect it has globally on practitioners of the art. I’ve read this article a while ago, and as I sit here writing this, I’m recovering from a broken ring finger suffered last night during a randori session with a visiting 5-Dan. The usual happened and I wasn’t careful enough (1st kyu) while moving quickly. At least no major damage has been done and I was told to take 3 weeks off practice for it to heal. I just started practicing intensively after a holiday so it’s really frustrating to put it aside and hit the books again. I almost considered wearing a belt to immobilize my hand and practice only with my right hand while avoiding ukemis altogether but then I’m trying to think that 3 weeks of recovery is nothing compared to a lifetime with a disability/permanent damage. This article and Sensei Tissier’s words truly are a must read for any overzealous Aikidoka. Thanks for sharing with the community. I hope you heal up soon!